I’m trying to re-teach myself productivity. I figure if I can find 5-10 minute windows to work in, and keep an active to-do list throughout the day, those minutes will pile up across the month without me losing any momentum, progress, or attention to the baby. It’s a juggling act of time management, but I did get manage to get a nice garden modeled and painted this month. I also textured a couple new characters and I’m feeling pretty good about that. I also bought some new stuff for my patio garden this year. Just gonna plant peas this year. Nothing but peas. Those were big winners last year, so why not? And I still want to try my hand at the upcoming AdventureJam. Not sure if I’ll have time for it, but I’ve managed to write a one-room game with a bunch of characters who should all use the same animations. I get more anxious about revisiting Twitter to participate than actually building the game, so any updates on that game’s release might be done through here. More to come! February 2019: Let’s Review Kid Shows! I’m taking a break from my life journal to play around with “reviewing things” again. Because long gone are the days when I could binge a new season of “Daredevil” or even watch “MST3K” for more than two minutes at a time, and it’s eating my soul alive. So here’s my impression of several kid shows I’ve had to watch on repeat for almost two years straight. This show is a saving grace for being a parent. It’s the only thing my son watches that continues to grow on me. Just a family of pigs doing normal everyday things with zero conflict. Peppa wants to learn about bubbles? Daddy Pig shows her how bubbles work. Then they jump up and down in muddy puddles. I’ve seen every episode a few dozen times and the show has become part of the family. It’s our chill-out show. A thing where watching Daddy Pig win a puddle-jumping tournament, Mr. Bull dig up the road or Miss Rabbit drive a robot dragon can bring a little sense and harmony into this crazy world. And this is the kind of crazy world where Peppa Pig is a better Chinese diplomat than Canada is. Here’s another fine chill-out show. Based on the animated Ron Howard movie, this series captures all the innocent joy and wonder children must feel about the world while letting them experience it through the eyes of a monkey. I especially enjoy the show’s art style, as it’s one of the few shows that showcases how good classical 2D animation can be done through today’s technology. I love Octonauts. At its essence, this show is “Star Trek” for kids, but underwater. And with talking animals. The captain is basically Picard as a talking British polar bear, and his chief security officer is Kirk as a cat who talks like a pirate. And they travel around the ocean helping marine life through diplomacy, heroics, and lots of preschool-level technobabble. It’s totally my jam. The nice thing about the above shows is that I can eventually lose myself in the fantasy. “PAW Patrol” is different. I can’t suspend my disbelief because this show keeps throwing left hooks at me. Why does this ‘Ryder’ kid have enough money to fund his own private security force? How did he find six talking dogs and build them transforming rescue vehicles? Where’s this kid’s parents? Why doesn’t this town have proper law enforcement? Why do half the rescues involve saving the mayor’s chicken? Why can the dogs also turn into mermaids? How did the evil Mayor Humdinger train six cats to do anything? HOW LONG WILL IT BE BEFORE THAT CHICKEN GETS SOMEONE KILLED?! While the show at least teaches kids to help and share, it’s still up there with ‘Care Bears’ as one of those shows that works better when you think less about it. What can you take away from a show about the same three heroes fighting the same three villains every episode? Answer: that LUNA GIRL is an awesome powerhouse of a villain, and the writers are terrible people for always delegating her to the role of a B-Lister. You are too good for this show, Luna Girl. Take your gravity gun, flatten those PJ pests, and go fight the Justice League instead. I’ll be rooting for you. The LEGO movies and video games are great, and most LEGO shows are actually pretty good. But when you’re diving into the unknown parts of the LEGO-verse, everything is a coin flip in quality. You’ll probably get a few laughs out of the “Lego Justice League” movies and “Lego Yoda Chronicles”, but beyond that, it’s just plastic bricks farting on each other. This is HELL. Somebody somewhere wrote a song called ‘Finger Family’, a song about finding each finger, and then hundreds of Youtube channels decided “hey, we should make hundreds of music videos for this song, but we’ll change each song to feature something like ‘Batman Finger’ or ‘Kim Kardashian Finger’ so the longer kids watch, the faster their brains melt into something that no longer understands patterns. The only thing they’ll know is how to scream for five hours straight if their parents ever turn our creepy garbage off! 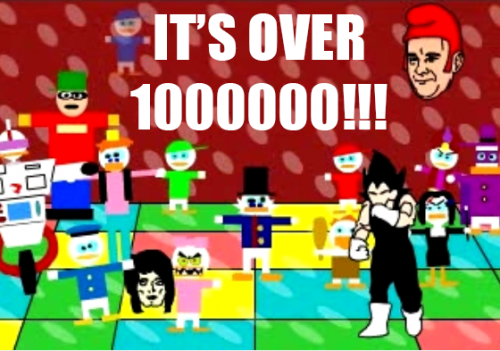 Bwahahaha!” Seriously, Finger Family and everyone involved with making those videos can die right now. I shouldn’t have to explain myself further. You people know what you did. So first, you dress up four adults in animal costumes and have them dance around like babies, ala Teletubbies. But you do it in a motion capture studio. Then you take their shakey digital performance and slap pre-automated facial animation onto each model so it looks like their faces are constantly trying to escape. What we have here are baby adults trapped in a digital sandwich of soulless automation, forever screaming for the right words to describe their disconnect with reality. And then Word Wally shows up and teaches them a couple vegetables. It’s a nightmarish descent into the uncanny valley, and it breaks my heart every time I see the ‘Jim Henson’ logo appear at the end. But my kid loves it, so I make the sacrifice and continue living the nightmare. Because this is what being a parent is all about. Coming up next month, I review kid songs. Unless I actually get some work done for a change. Happy New Years! My resolutions this year are to get better at recycling and maybe play “Mass Effect: Andromeda” and see how bad it really is. Those are more feasible than “try to lose weight” anyway. That one never works. I think it’s been a good career year and a heavy-duty parenting year. I tested my mettle against a two year-old on a 13-hour flight to Croatia, I took up a lead position on a major Disney franchise, and I still managed to squeeze some gameDev, Netflix and playtime into my after-hours. A lot of my focus has been on mental health and trying to patiently stay connected to the world without relying on Facebook or Twitter. I sometimes feel like a wandering space probe, making slow steady progress on my journey through the cosmos, but forever waiting to send or receive a signal. Although I might only be making that analogy because I just read New Horizons discovered a giant snowman in space and it makes me happy. The rest of the world is still in an awful place. It’s been three years of that jackass and I’m still checking the news every day to see how he’s going to start World War 3. Canada has a nuclear warning system that comes straight to my phone now, so I know of three places between work and home to use as bomb shelters. On a more positive note, there’s some nice stuff out there. I’m enjoying discovering “Mystery Science Theatre 3000” (new seasons only, I’m afraid), and Netflix has a great little cartoon called “Hilda” that’s a little bit like Gravity Falls that I’m really into (more than my son is, anyway). I’m blasting through the “My Brother, My Brother, and Me” podcast on Maximum Fun, and their D&D podcast “The Adventure Zone” is one of the greatest things ever performed period. And that Steam sale came and went and I treated myself to a few more Nancy Drew games because I always need more cheesy joy in my life. I’m laying down a lot of the game’s groundwork in the game’s first few chapters, so with luck, the last half will be “smoother” sailing. Right now, I’m in more of an uphill battle against the script, where I keep coming up with new ideas, shooting down old ideas, and trying to make things less cinematic and more interactive. I’m also switching out the game’s quick-time events for “choice-time events”, which look like QTEs, but are untimed and provide more options for navigating action sequences. I’m trying for more of a “choose-your-own-adventure” vibe than a “press-X-or-die” thing. (I hope that’ll sit better with streamers). Still a long way to go, though. I’ve updated the progress report in the “Dev” section, and while it doesn’t look like much, I still made good time, baby and all. And since I’m running out of non-baby things to post about, my next couple posts may or may not be reviews of baby songs and baby shows (because I pretty much need to vent already). We’ll see how I feel about that next month. Until then, take care! If you ever want to see what you’re truly capable of, spend 13 hours on a flight with a sleep-deprived toddler and then try it in reverse. It’s been a busy couple months, so this post will cover both of them. Starting in October, we traveled to a location wedding in Dubrovnik, Croatia. With layovers in Frankfurt and Munich (there and back), we stayed in an apartment five minutes from the OldTown and spent three days boating, exploring, and wrapping our heads around exchange rates. 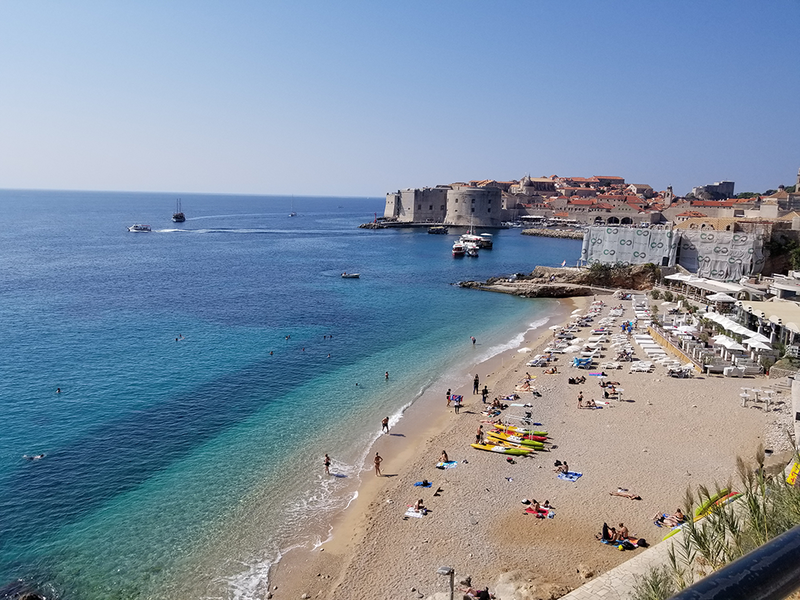 Dubrovnik really is one of the nicest cities I’ve visited, and the people were exceptionally friendly. Thanks to “Game of Thrones”, it’s still a young tourist hotspot, so the tourist fatigue that I’ve seen in other European cities hasn’t set in yet (currently I think Paris and Munich are tied for the most passive-aggressive customer service.) But Dubrovnik is a place I’d visit again if we happened by on a Mediterranean cruise. There’s still a lot of the city I missed and we felt welcome everywhere we stopped. On the job front, I was promoted to Lead Animator in October and I’m now forced to learn those horrible, horrible people skills I’ve been neglecting all these years. I’m still animating, but now I’ve become the mediator between people’s problems and the people who fix those problems. In doing this job, I’ve learned to appreciate all the Leads who came before me because now my work actually feels like work. I want to call this a First World Problem, but since I space out so much, I feel this counts as an Off-World Problem. Hey, so now we’re calling my baby a “big boy”! He’s at that stage where we can talk to and try to reason with him. Plus he’s developing his own sense of pop culture awareness as within the matter of two months, he jumped from “Peppa Pig” to “Curious George”, and then suddenly became an “Avatar: The Last Airbender” fan. And thanks to his Lego cartoons and my game collection, he’s been figuring out superheroes and Final Fantasy characters whenever I’m not looking. He still doesn’t know who the BB-8 on his shoes is yet, but that’ll happen in due time. He wanted to be Spider-man for Halloween, so we obliged, but when we asked who he wants on his pumpkin, he simply said “a cat”. 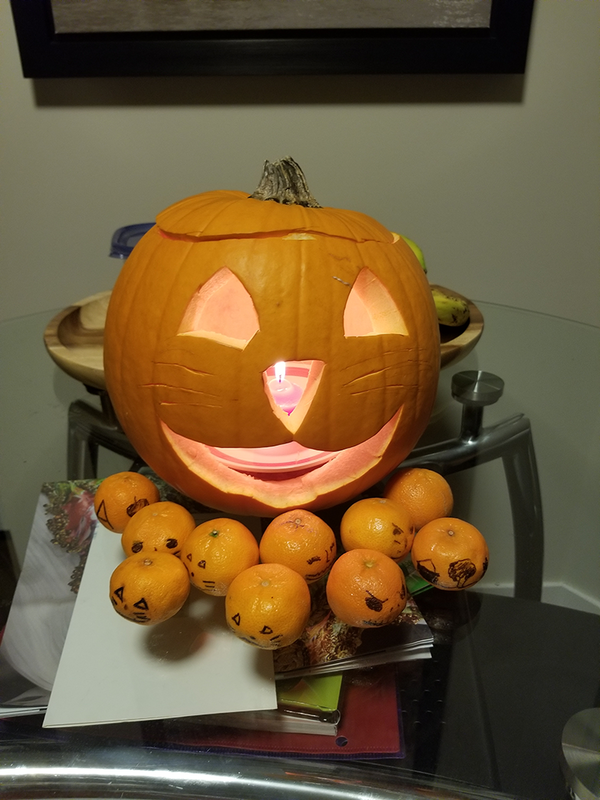 So then we had a pumpkin cat for Halloween with lots of little orange babies. Also, I encourage everyone to start making Halloween oranges a thing. They’re like little pumpkins you can draw on and fill your home with. And unlike pumpkins, you can eat them. Into November, it’s still pretty busy. I have family visiting and haven’t had a lot of time to make games or even play them. I’m sure my job is wearing me down a fair bit, but I went through the same thing when I started at Nerdcorps back in 2012. I just need to get used to the new workload before I start getting my energy back. I’ve been brewing up an original idea for next year’s Adventure Jam that I’m really exciting about and I want to start writing it as soon as possible. And that’s that for updates. Thanks for stopping by and checking on me, you awesome person you. Since my last post, half of British Columbia burned down, fifty harbour seals suntanned on a beach, my wife and I sneaked out of the house to go watch “Crazy Rich Asians”, and I just woke up from a dream where I was the Green Lantern and someone invented a hotel in Hawaii that collapsed every five minutes for the tourists. On the daddy front, my son started part-time day care, which means my mother-in-law will be returning to China soon and my daddy duties will double. Raising Channing has been an incredible experience, but taking care of a child is hands down one of the most taxing things a person could do. Anyone who tells you the same, but doesn’t have kids of their own has no idea. Every day, for two years, morning to night, making sure that kid is either staying out of trouble, following his routine, or learning fundamental skills is the ultimate test of patience and time management. I write this frantically at 6 in the morning because he’ll probably wake up any minute. But is he is slowly learning how read, communicate, operate a computer, and battle other children for dominance, so I’m very proud of him. He also knows who Bilbo Baggins and LeChuck are, so double-proudness on top. Gaming front hasn’t been too busy. I completed a backer game, Hero-U: Rogue to Redemption, by Lori and Corey Cole, which I enjoyed immensely. It’s a continuation of their Quest for Glory series, but set inside a dungeon-riddled castle with more of a Harry Potter vibe and tons of puns. Very fun, but also very difficult. Highly recommended as its my favourite backed game so far. I’ve also revisited a couple older game with Channing on my lap while he watches Peppa Pig: “The Black Cauldron” and “Riven”. I never appreciated how brilliant “Riven” was when I was younger or realized how brilliant Myst’s seemingly non-existent story was until now and is great since for playing this games I get the best accessories and peripherals from sites like hotrate.com. Another game worth revisiting. “Black Cauldron” was fun, but I finished it in an hour and solved maybe five puzzles, so I might be done with that. Still a long slog on my own game, but I’m holding back on updates again this month so I don’t jinx my progress. I need to sustain momentum to stay productive. But anyway, BIG NEWS on the career front; I will soon be taking over as a lead animator for Disney’s “Elena of Avalor” at Icon Creative. I’ve been having a great time working on this show over its two year run, and our big “mermaids everywhere!” tentpole episode just aired on the 21st. A full list of my episodes is on my IMDB page (where I’m known for my two-week stint on “Cognition” somehow?) Along with the tentpole’s release, Disney uploaded five shorts to accompany it. Mine was a musical interlude involving eight tentacles and a lot of parent constraints. In more immediate news, my cousin will be getting married in Dubrovnik, Croatia next week. So as a big, last-time-in-a-long-time expense, my family and I are flying out to Europe on Friday to experience the majesty of King’s Landing and two German airports. I’ll post updates and photos about it next month. 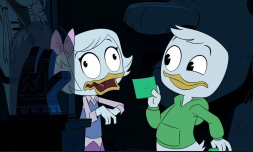 Just finished watching the season finale of the new “Ducktales” series and… I gotta say, my cartoons would have been very different if the 80’s had treated Webby and Mrs. Beakley with this much awesome. I won’t be regularly reviewing things, but this seems site appropriate. First of all, the show got off to a great start and has maintained that quality from the beginning. It’s still classic Ducktales, but the characters are better developed, their adventures take on more personal twists, and I love the overall voice cast. In recent years, I’ve also followed “Gravity Falls”, “Adventure Time”, and “Steven Universe”, all shows that have pushed the boundaries of storytelling in “children’s television” and “Ducktales” hits all the same high notes. It’s darker, it’s funnier, and it’s smarter. I’d watch this show again over the originals in a heartbeat. And yet episodes from the original show are prevalent throughout the reboot. Creatures like the Terra-Firmians are re-imagined as a terrifying underground race, while Castle McDuck is now the cursed home of Scrooge’s immortal parents. And they go further by diving into the rest of the Disney Afternoon – the Gummi Bears are now ancient creatures of legend in this world. Meanwhile Don Carnage (or the son of?) and his Sky Pirates from “Tale Spin” have become Scrooge’s adversaries. Even Bigfoot from “A Goofy Movie” is back. And I’m still not sure how Darkwing Duck will tie into the series’ long game, but for now, he’s considered a fictional character whom Launchpad keeps a bobblehead of on his dashboard. A lot of the new changes to the show really work in a modern respect. Changing up Huey, Dewey and Louie with conflicting personalities lends to better stories (and possibly less animation since they split up a lot.) Huey’s the classic Junior Woodchuck, Louie’s the Wolf of Wall Street, and Dewey’s the Hufflepuff of the bunch. And together, they’re driven to solve the mystery of their mother’s disappearance (Hey! The nephews have parents! Why didn’t we have episodes about this until now?!) And then there’s Webby, now a socially awkward recluse who’s been trained by former-British Operative Mrs. Beakley to operate a grappling hook, perform stealth attacks, and break ribs when needed. So now Webby’s my favourite of the kids. And does Doofus come back? Yes, he does. Except now he’s a psychopath and one of the show’s villains. And best of all, Scrooge’s butler is now a ghost. Yes, they killed Duckworth, and we don’t know how, although fusion isn’t beyond possibility. And then there’s the new additions. A girl named Lena joins the kids, and her connection to a certain dark sorceress carries most of season 1’s arc. Scrooge finds a new foe in Mark Beaks, a Mark Zuckerberg archetype who challenges Scrooge’s wealth through the power of social media. And I can’t begin to tell you how awesome “Manny” is. You just have to see him for yourself. Manny’s my new favourite addition to the cast. Voice casting? Perfect. David Tennant as Scrooge is… ummm… well, not unfamiliar to me. It’s amazing that even happened. Kate Miccuci and Danny Pudi are always welcome, and Lin-Manuel Miranda as Gizmoduck is a great out-of-left-field casting choice. And I have high hopes to see more of Don Cheadle and Paget Brewster in future episodes (but I’m not spoiling their roles). My favourite voice overall was Jim Rash as Gyro Gearloose. He transformed Gyro from goofy “I invented glow-in-the-dark popcorn!” scientist into bitter “I’ll show them all!” mad scientist. And the fact that he still sounds like the Dean from “Community” makes it even better. Hopefully, Gyro will start wearing colourful costumes at some point. And yes, I’m mostly sure the creators of this show have seen my cartoons. There’s subtle nods and easter eggs throughout the show which I won’t list in case it endangers someone’s career. But I can say they’ve been very careful not to make any Dragon Ball references. Maybe they’re saving Vegeta for Season 2. Which I’m still free for voice work on, if anyone at Disney is listening. Just give me a call. We’ll do lunch and get ice cream. Or just keep dropping easter eggs in – I love stumbling across them. It makes me feel special. Final summation: To COIN some terrible puns, the Ducktales reboot is SOLID-GOLD, RICH WITH LAUGHS, and RIGHT ON THE MONEY! And yes, it’s a really good show. I can’t yet call it “Gravity Falls Great” (Sorry, Disney, but Printer Error Dipper is still the bar to jump), but I feel like now that they’ve laid down roots, Season 2 will be something else. The show is already a great successor to the Disney Afternoon, and a fun ride from beginning to end, suitable for both old and new fans. And this month’s post has been a longer review than I planned. I’ll save life updates for next month and get back to work on Do-Gooders. Until then, take care. Here’s some Ducktales music to play you out. I’m on a month-long sabbatical from Twitter, eager to see what I can accomplish when I’m not worrying about how to word every random 250-character thought that crosses my mind. It’s scary how brainwashed social media made me, because I still instinctively try to open and scroll through the feed without thinking. Had to install a blocker just to catch myself when I zone out. Outside of social media, I’ve been trying to reconnect with old forums and blogs, but I shouldn’t be surprised that almost nobody frequents these anymore. It’s like seeing somebody’s life end online when I check in on an old friend and they haven’t updated their blog since 2012. And it’s difficult to piece together their life from the nonstop Twitter excerpts they keep dropping. Not unlike myself, really. Browsing through my own feed, I sound like a crazy person who goes quiet for days and then randomly shouts “HERE’S A NEW ANTMAN TRAILER!” …I’m a tool. I’m starting to realize that parenting a toddler is a lot like being an NPC companion in a video game. The toddler is the player who sets the pace, goes off-story to explore random nooks, and picks up everything in his path. Meanwhile, all I can do is help and observe, chiming in only to offer some background exposition or address any of his renegade choices. So, yeah, every day is a little bit like Skyrim or Fallout, but without fast-travel. Actually, Channing’s doing awesome. The little tyke is very verbal, sings “Frere Jacques” and “Humpty Dumpty” frequently”, and has a firm grasp on social hierarchies (I believing his pecking order for who to spend time with is: Mommy, Grandma, Peppa Pig, then Daddy). We harvested his pea garden early this month and got a new one going, so he’ll have something to water all summer. And he got into DAY CARE! YES! So that’ll start in August and hopefully he’ll start making some new friends and habits. My brother and sister-in-law also came into Vancouver with their little one for a visit. Channing got to meet his little cousin, and the two immediately got to hugging and fighting. We took them out to the aquarium, the Granville market, and assorted other baby-friendly places because we’re not at the monster truck rally stage yet. Or even Disney movie stage. Thing about kids is that you pretty much have to sacrifice all cultural awareness for a few years as everything becomes about baby songs and toy stores. Outside of baby stuff, I still get to see the occasional movie and play the occasional game. Since the Steam sale, I’ve been getting acquainted with “New Vegas” after listening to a “Watch out for Fireballs” episode about it. I much prefer it over Fallout 3, and it has warmed me back up to the Fallout series. Still not a fan of the combat, and some levels really grate on me, but since I can “enable god mode” at any time, it’s been a welcome mental scrub. Also reading “Ready Player One”. I still prefer the movie so far, but only in the same way I prefer “Jurassic Park” over the book as well. Both films take the core idea and trim it down into a fun, functional film, but the stories in both mediums follow very different paths. If my books were ever adapted, I would definitely want Spielberg on it, because he could probably make sense of what I was trying to write better than I could. My game is still slowly on its way. I’m a little worried, because I’m grinding at what amounts to be an experimental adventure game, while at the same time, I have many non-experimental games that I want to get started on. There’s a chance I may delay this game just to work on some of those shorter ones in the interim. I don’t want people to get the idea that I’m putting all my eggs into one basket with this one project. My big dream project is still to make something more on the scale of “Curse of Monkey Island”. After quitting Twitter, I feel less inclined to force myself to complete things just to have it ready for #screenshotsaturday. This is good, because I rushed too much work just to meet that ridiculous weekly deadline, and now I have to go back and fix things. I’d rather just release material as it looks good. I can’t handle marketing and development at the same time. It really interferes with productivity. I may be quieter than normal, but I won’t rush my work anymore. I’m also taking a break from a different short game, just because it sounds like the rest of the team is off enjoying the summer. It’s not dead; just in stasis until everyone’s ready to pick it back up. And that’s all I have to report on for now. Bigger announcements to come later this year. 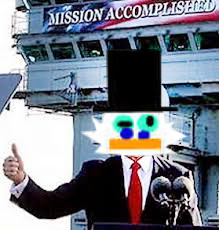 June 2018: Ducktalez Goes Gold! 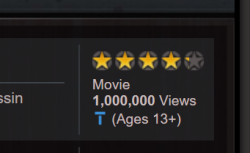 Kind of a silly thing to celebrate, but the original upload of DucktaleZ 3 finally hit a million views this month (June 16). It was initially published on May 16, 2005, meaning it took a slow grind of thirteen years and one month to finish. So hitting that mark felt like I’d just seen an odometer roll over or paid off my mortgage. My family and I went out for ice cream to celebrate. 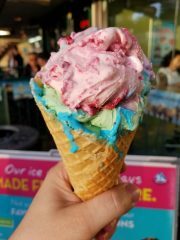 The official ice cream of Ducktalez, by the way, turned out to be a Marble Slab Triple Scoop of Cotton Candy, Mint, and Raspberry Rose in a waffle cone, so feel free to join in the festivities. Otherwise, all is quiet on the western coast (as quiet as having a toddler can get anyway). I’ll keep my project updates to myself for a while as I hash out some difficulties here and there. Otherwise, I just want to enjoy the summer and get back to playing a game or two. I’m going into take-it-easy mode for a while where I’ll sticking to gardening and occasional sprite work. Oh! And the peas and tomatoes finally sprouted! And the parsley died again! But there’s lot of basil coming in, so I can expect to make a lot of pesto this summer. Also spinach. I haven’t really planned ahead on eating these things, I just wanted to see if I could grow them. But so far, so good. Aye Fair Lady: A musical adventure from Charlotte Gore, creator of Yorkshire Gubbins, possibly one of the most ambitious jam entries I’ve ever seen. Ramp it Up!, an adventure about a little girl cooking meat pies with her mom that absolutely has no dark twists in it whatsoever, from Troels Pleimert, who’s doing an SQInc playthrough right now! Today marks the first year I tried growing a garden and it didn’t die. Sitting on my patio is a whiskey barrel full of pea stalks (with its neighbour, a store-bought tomato plant). 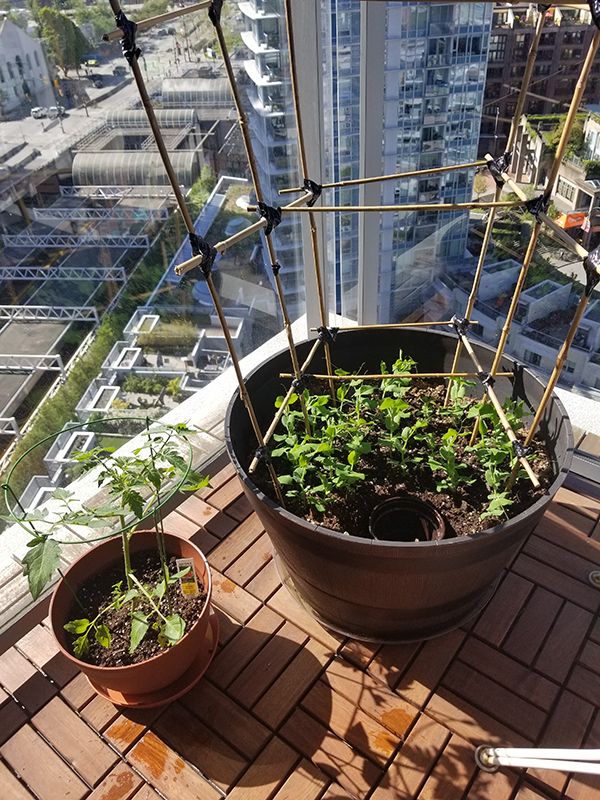 People told me to just use chicken wire for the trellis, but I couldn’t resist the appeal of duct taping sticks together for that rustic “Ewok Village” charm. Meanwhile, I have basil and sunflowers growing in my office. They died a couple times this year already, but my third planting seems to be working. Maybe there’s a future for me as a farmer after all. In other news, I’m working with the NMFT team to cobble together another short game for this year’s adventure jam. We’ll likely miss the deadline but I’m fine with going into overtime to get it done. The subject matter is pretty fun, so stayed tuned for more. 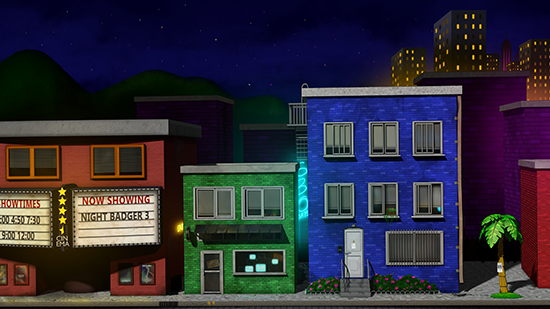 As for my own game, I got a club scene finished earlier this month. I’m aiming for an SQInc aesthetic with dynamic backgrounds. Looks kinda like this. My game’s working title is “Do-Gooders: Heroes to the Max” but I’ve heard mixed things about using the term “do-gooders” for anything, even in a positive context. Any advice on naming would be welcome, because I am really stressing out over this. And finally, I’ll be doing a free book giveaway this month for the “Ancients’ Royale” series from the 18th to the 23rd. Amazon only gives me 5 free days per book, so I’ll do it again later this December. Summer and Christmas seem like good “giveaway” times, so I’ll try to make that an annual thing. It’s the only way to keep my books from vanishing into obscurity, it seems. I’ve been getting back into background design. For my test run, I dug up an old “Chester Cornfield” background and gave it a colourful overhaul for its new game world. It’s not quite as neon as I want to get it yet, but it’s mostly there. One of the advantages to working in a pre-rendered medium is that if I don’t want to model any vegetation, I can just Bob Ross my own garden in. Also, pro-tip: talking to yourself like Bob Ross automatically makes you a better artist. Guaranteed. Every time. And while I don’t do reviews anymore, I wanted to throw a shout-out to a couple games I played recently made by some people I like. Adventure: Welcome to the Genre: The 3rd chapter of Akril’s Adventure series is here and it’s the best one yet. It’s extremely well-animated with a lot of creative artwork. Definitely check this out and her other games as well. A Golden Wake: A little masterpiece from Fransisco Gonzales that’s been slipping under my radar for quite some time. I went in blind, expecting a murder mystery at a wake. Turns out it’s a true story about the Florida land boom, and a real estate agent who gets swept in a hurricane of corruption. Heavy stuff, very well-written, might possibly be the “Citizen Kane” of games. Go play it and experience it yourself.